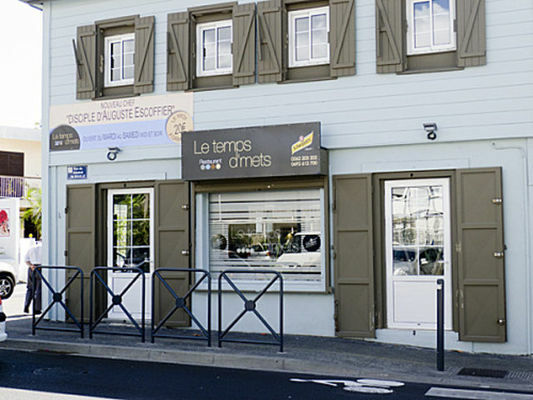 Le Temps D'Mets restaurant, located in Saint-Denis, offers French and Creole cuisine. The restaurant has a large dining room, decorated in an understated style. It offers a set lunch menu and French starters, main courses and desserts à la carte, as well as some local dishes. Restaurant open for lunch and dinner, Tuesday to Saturday. Environment / Access : Take Boulevard Lancastel and turn right towards Montgaillard/Champ Fleuri. At the first crossroads, turn left into Rue Maréchal Leclerc. Then, at the traffic lights, turn right into Rue du Butor, towards Champ Fleuri/Montgaillard. Turn right at the next crossroads into Rue Général de Gaulle and continue to the intersection with Rue Jules Auber. The restaurant is located on the corner, on the right-hand side.